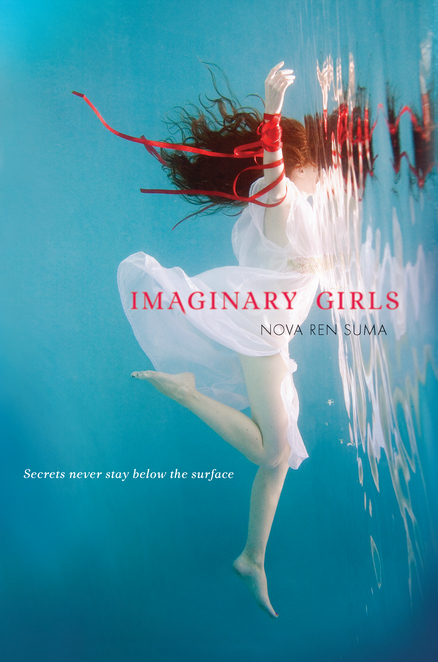 The Compulsive Reader: Guest Blog from Nova Ren Suma! Secret #1: Imaginary Girls wasn’t supposed to be the title. I changed it at the last second when querying agents… and decided to keep it. I was pretty attached to that title. So why’d I go and change it? When I was putting together my email queries for literary agents and typing “Mythical Creatures – YA novel query” into the subject line, I had a sudden wave of doubt. Agents might see that and think this was a fantasy novel, and it’s not. What if they rejected me based on title alone? So, at the very last second, I changed the title to one of the top contenders on my list of other possibles: Imaginary Girls. Even so, I messed up some of the queries and a couple agents got an email from me saying “Mythical Creatures – YA novel query,” and when they replied asking for pages I sent back a manuscript with the new title in place. So that’s how I happened upon my title Imaginary Girls, in a panic, and at the last second, and yet now I can’t imagine this book being called anything else. Definitely check out Nova's website and follow her on Twitter to learn more about this awesome book! And if you are curious about the book, read an except! Thanks to the generosity of Penguin, I have one signed copy of Imaginary Girls to give away! Just comment below and tell me why you want to read this book, and I'll enter you to win! This contest will end July 6th, and is open to US residents! I just read this, having checked it out from the library. I saw the librarian cataloging it, and snatched it from the shelves as soon as she put it out. I absolutely fell in love with the entire book: the covers, the characters, the setting, the story line, and the writing especially. Imaginary Girls is unlike anything I've read before! A. this book has a gorgeous cover, but B. the relationship these two sisters have...and how it changes is just fascinating. I'm really anticipating for this book really! I've heard lots of good things about this book and I really can't miss to read it. I'm so interested in this book because of the fact that it has paranormal elements, but isn't really classified as a fantasy book. That sounds just like my cup of tea! I saw Libba Bray describe this book as Shirley Jacksonesque on Twitter, and that is ALWAYS enough to sell a book for me! =) I love the original title, by the way, but I agree it would have been confusing with the release of Beautiful Creatures. 1) The cover is gorgeous. 2) It sounds dark, mysterious and different than a lot of what I've been reading. I want to read IMAGINARY GIRLS for two reasons. 1. I am not a big fan of paranormal, but I think IG is a title that could bridge the gap for me. 2. I need the cover because I want the lighter shade of blue as my new bedroom wall color and I need to take the book to the paint store. As a follower of @novaren on Twitter, I sort of watched Imaginary Girls be born. I love the concept of the book as I have never had a sister and I look forward to getting my mits on a copy! Congrats, Nova Ren Suma! I have wanted to read IMAGINARY GIRLS ever since I heard the title and saw the amazing cover. And the since I have a wonderful older sister, I can't wait to meet Ruby. I agree, LOVE the cover! It definitely caught my eye. I want to read this because it looks AMAZING! I have been waiting months to read it. I want to read this book because I've heard lots of tgreat things about it! The cover is just amazing, and I loved the sample I read. I would so love to win this book. Such an intriguing book; can't wait to read. Nice post. This book looks so good! I want it b/c the cover is gorgeous & I want to know what secret won't stay below the surface. Great title story! :-) This book was a fantastic read. The story was so intriguing that I found I really couldn't put it down. I would love to own a copy! Thanks for the giveaway! I heard about this book and thought it sounded like something I'd enjoy! I put it on my "to be read list" and I also follow Nova Ren Suma on twitter. I also fell in love with the cover. If I don't win the book through this contest, I plan to buy it. Thank you! My twitter is @hominidrunner. If I win, please contact me there. Thanks! I've been intrigued by this novel since I first read the synopsis -- then when I saw that GORGEOUS cover and I was hooked! That sentence from the first chapter is so beautiful, and I'm definitely interested in the idea of what makes something legendary. Great post! Thank you for the giveaway! I already wanted to read this book by all the descriptions I've heard, and that excerpt just pushed me over the edge :) Good luck, all! I've heard a lot of great things about this book and am looking forward to reading it! I love stories about sisters, and between that and the book's gorgeous cover, I am dying to read this. At the risk of being redundant, I love the cover as well! 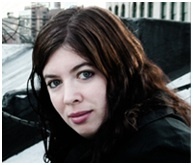 And I just read Kate Messner's blog post about IMAGINARY GIRLS, then I saw your tweet, and knew I needed to click right over to read your blog entry. I couldn't wait for his book to come out and it finally has! The cover is absolutely GORGEOUS! I can't wait to snag a copy! The mystery of it too makes it sound even more enticing! Thx for the giveawy! It sounds like a really great read. As a sister and lover of really great mysteries, I am so excited to read this book. I'd love to be entered in the contest. Thanks so much! I've only heard positive things about this book, and it has a gorgeous color. Color me excited! I can't wait to read Imaginary Girls. Well, first of all, the cover is amazing. I know you shouldn't judge a book by its cover, but that's what first draws me to books. Also, there aren't many YA books out there right now that deal with sibling relationships, and that realy is what makes me want to read this. I've heard lots of good things about it! I want to read it for so many reasons, mostly because I've been following Nova Ren on Twitter and have to support a fellow author ! Also, the cover is among the most beautiful covers I've ever seen. I agree; I can't imagine the title as anything else. And finally, I read the free chapters posted some tie back and got hooked! I want to read this because I loved Dani Noir, and the cover is amazing! I would love to win this book, because I sort of love it. It was amazing and just so intoxicating. This book sounds so interesting & I looove the cover! Have heard many good things & can't wait to read it! I have requested this at my local library. I can't wait to read this because I have a sister that I love to death and she's also my twin, so we are almost joined at the hip because we are so close. :) My sister wants to read this a lot to. The cover is amazingly beautiful. I want to read this book because it sounds awesome & I have heard great things about it. Also the cover is gorgeous and I love books about sisters. The cover is reason enough to want to read it but then I read the sample and I'm hooked. I have to know what happened. I think the awesome title and cover are enough reasont o pick this one up. Plus I have heard great things! I just read the sample chapters, and I can't wait to read the rest! I really wanna read this 'cause it sounds so suspenseful and I want, no scratch that, NEED to find out what happens! It sounds like a very deadly paranormal book...and the cover's gorgeous! I want to read this book because I love the concept. It has the idea of what makes someone a legend; it's not about legends, like so many books out there today. Plus, there's that gorgeous cover!! I really liked what Nova said about being a legend in a small town -- that added an element to it that I didn't pick up on from the jacket cover. Also, THE COVER!?!! As soon as I saw it on-line, I knew that I had read this novel. I just wanted to thank Tirzah for hosting me on my blog tour for IG. Thank you so much! And thank you to everyone who read and commented on this post—and who entered the contest. Good luck! I'd love to read this book because 1) Nova is awesome 2) The cover is amazing and 3) Regardless of the cover, the synopsis is just WOW. I have read so many good revies about this book plus the book cover is beautiful. i havent seen the winner yet! have i been missing it?